Lt. Col. (Res.) Tiran Attia is the director of Special in Uniform, a very unique program, operating in partnership with Jewish National Fund (JNF) to integrate young people with autism and other disabilities into the Israel Defense Forces (IDF) and, in turn, into Israeli society. Tiran was born in Israel in 1967. 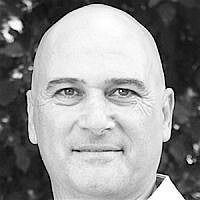 During a distinguished 28 year career in the IDF, he was IDF tank commander, commander of the IDF's Technology and logistics forces training program for army logistics cadets. His last position in the IDF was as a Commander of the Sar-El program for army volunteers.